At the heart of Moody's Analytics offering is the provision of technology solutions and associated services that are designed to address the risk and solvency business needs of insurers, including regulatory and internal management requirements. The RiskIntegrity™ Suite helps support standard formula and internal model capital calculations, ORSA requirements, and Solvency II regulatory reporting. The Scenario Generation Solutions are a suite of leading-edge stochastic models, software modules and services that allow insurers and other financial institutions to undertake a wide range of risk management activities. Our regulatory risk and solvency solution provides both standard formula (RiskIntegrity™ Standard Formula) and internal model (RiskIntegrity™ Capital Aggregator and Risk Scenario Generator) capabilities, covering solvency capital requirement (SCR) and minimum capital requirement (MCR) calculations. Modules harness the power of the RiskFoundation™ platform providing a controlled environment with a range of functionality, including data management and quality controls, workflow/scheduling, audit capabilities and access management. The combination of the RiskIntegrity Suite and RiskFoundation platform provides the infrastructure required to implement a world-class risk management system and comply with regulatory frameworks. Internal model SCR calculations are challenging for insurers due to the time taken to run their granular cashflow models ("heavy models"), especially when there are path-dependent liabilities. The considerable run times associated with heavy models limits the ability to run the hundreds of thousands of scenarios required for internal model calculations. Our RiskIntegrity™ Proxy Generator application addresses this problem by calibrating proxy functions to the heavy models to replicate the calculation of liability or asset values. A unique feature is the integration of Moody's Analytics Economic Scenario Generator (ESG) enabling automated generation of fitting scenarios for techniques such as Least Squares Monte Carlo. The proxy functions produced are fast and efficient to use to support internal model needs, but can also be used to address the challenges associated with continuous solvency monitoring, particularly after a significant movement in the markets. Typically, the "heavy models" have not been designed to support continuous solvency monitoring timescales. To provide senior management with an updated balance sheet and solvency position within 24 hours of a significant market movement, internal model firms have been leveraging their existing proxy models, and increasingly standard formula firms are looking to proxy techniques for the continuous solvency monitoring challenge. A significant advance in our proxy generation software has been the move from a desktop-only application to enterprise technology. Leveraging a service-orientated architecture enables large-scale multi-user deployment which can support multi-site deployment and the ability to manage the calibration of large volumes (>1,000) of proxy functions. For Solvency II, the risk-free rate used for valuing liabilities (for technical provisions) must be based on the method prescribed by Eiopa. We now offer versions of our market consistent, real world, and 1-year VaR calibrations based on Eiopa's method. Our software allows users to adjust the calibration of the risk-free rate for the volatility adjustment (VA) or matching adjustment (MA). seamless production of deterministic or certainty equivalent scenarios. Early 2015 saw unprecedented changes in interest rate markets with several markets showing negative yields at the end of Q1 2015. Most insurers have traditionally used a log-normal (Black) definition of swaption implied volatility to calibrate market consistent scenarios. However, these don't work well with negatives rates which has caused significant practical difficulties for many insurers. In response, we made a series of improvements to our suite of Scenario Generation solutions to provide alternatives to log-normal implied volatility when calibrating market consistent scenarios. Along with updating the software, we also provided an extra calibration service based on normal implied volatilities. A new path-freezing method and enhanced capping and flooring features of our interest rate models to help users deal with the practicalities of managing large or negative rates. Real-world interest rate modelling and calibration capabilities have been upgraded by further extending our 2-Factor Black-Karasinski (2FBK) model to include a displacement factor. Shifting the distribution away from strictly log-normal addresses some of the limitations of log-normal models while maintaining all the attractive features of 2FBK model, such as good calibration analytics and sophisticated term premium modelling. In particular, the new version of the model allows negative interest rates (which is now viewed as an attractive feature of a nominal rate model) and gives more realistic rate distributions in a low rate environment. The ORSA requirement for multi-year balance sheet and capital projections has presented a challenge for insurers and is an area that we expect to evolve over the coming years. Beyond the ORSA, we expect multi-year stress testing to become increasingly used as part of the regulator toolkit. The first challenge for senior management is defining the "narrative" deterministic scenarios they want to test their business plan against. For example, the impact of a prolonged low interest rate environment or the impact of a protracted economic slump. Through our team of expert economists, we provide a baseline forecast and up to eight alternative economic scenarios that account for various assumptions based on current conditions and our view of where the economy is headed. In addition to our standard alternative scenarios, we also provide expanded scenarios (covering more than 1,800 variables) based on regulatory projections as well as custom scenarios that account for a firm's unique business models, exposures, geographic foot-print, and assumptions. All our scenarios are transparent, fully documented and updated monthly. These scenarios enable insurers to test the impact of shocks and differing economic assumptions on their balance sheet and solvency position. Leveraging these alternative scenarios, insurers can calibrate their valuation and capital modelling scenarios to be applied over the business planning time horizon. Moody's Analytics can support clients with this calibration process using our Scenario Generation Solutions calibration tools and services. Another challenge relates to the projection of path-dependent liabilities over a multi-year time horizon. A time-consuming process due to the complexity of stochastic cash-flow models. Proxy techniques, as used for internal models and continuous solvency monitoring, are being used to address such challenges. 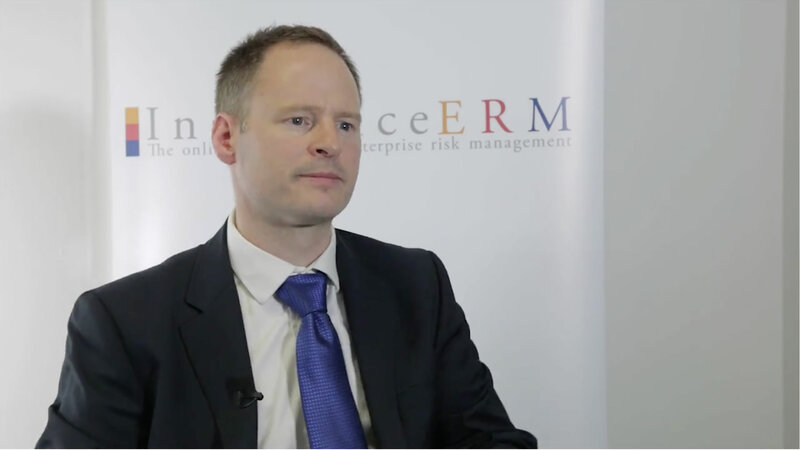 More generally, we see the need for a robust ORSA/stress testing framework to manage the end-to-end modelling processes. This is an area that we see evolving over the next few years and Moody's Analytics can support clients in building and implementing this framework.